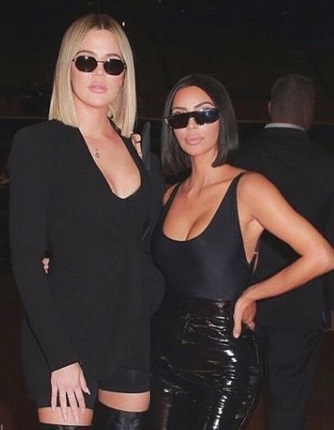 Kim Kardashian has yet again spoken her mind out about Khloe Kardashian and Tristan Thompson's relationship and unintentionally calls her idiot to stick around with her relationship with Tristan. 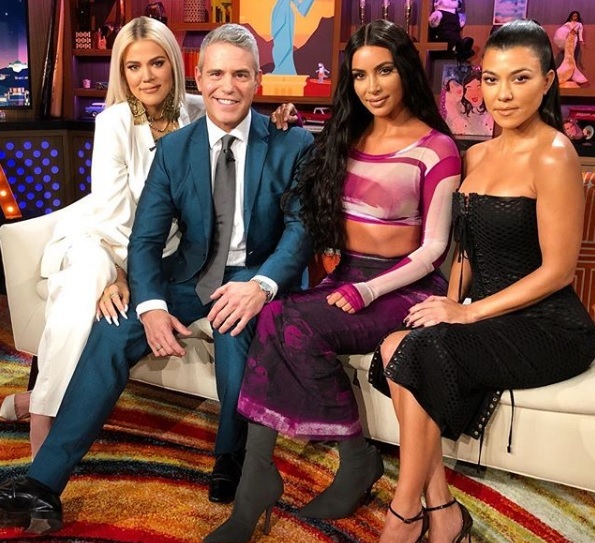 'Keeping up with the Kardashians' stars sisters Kim Kardashain, 38, Khloe Kardashian, 34 and Kourtney Kardashian, 39 guest appeared in 'Watch What Happens Live with Andy Cohen' where they talked about various juicy gossips and Kim unintentionally even called Khloe being idiot continuing her relationship with NBA player Tristan Thompson, 27. During the show, Andy made the sisters play the game 'Plede the Fifth which had tricky question to each one of them. The game started with Kourtney with the question 'Who is the most least favorite of Kim's exes?' to which Kourtney replied Kris Humpries with 1000% assurance as per her say to which even Khloe agreed. Second question was yet again for Kourtney with question 'As they are protective for their sister, if she were Khloe, would she have stayed with Tristan?'. Khloe even though the question was pretty bada$$. Upon the question, Kourtney though for a moment and answered 'Yes' gaining a big surprise from Khloe explaining how a person does so much for the sake of family since she is still continuing to have relationship with Scott Disick, father of their three children even though its no romance included. Upon the very topic Kim then expressed her view saying its quiet difficult for such situation as the mess in known by whole public and people around internet are calling her IDIOT which made Andy fuel the fire for calling Khloe an IDIOT. Kim tried to explain 'She didn't mean it like that' and apparently it was not intentionally but just a quiet humor.